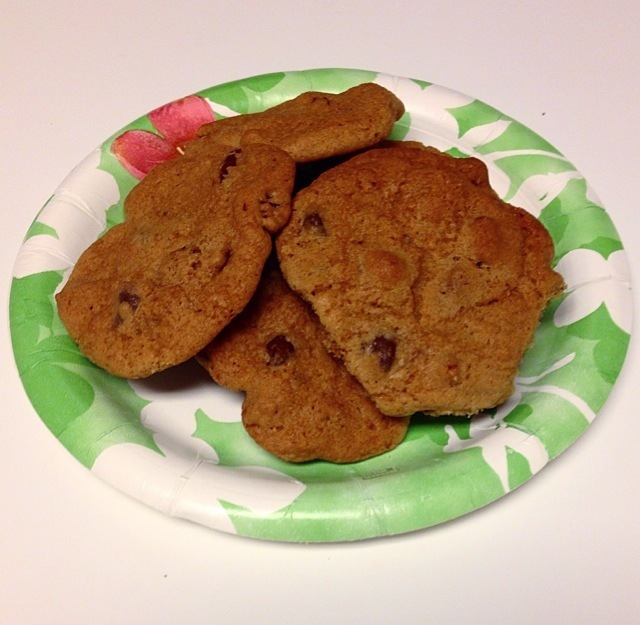 Satisfy that Craving: Pecan and Chocolate Chip Cookies – Pao Says, "Open Wide!" Once combined, stir in chocolate chips and toasted chopped pecans. 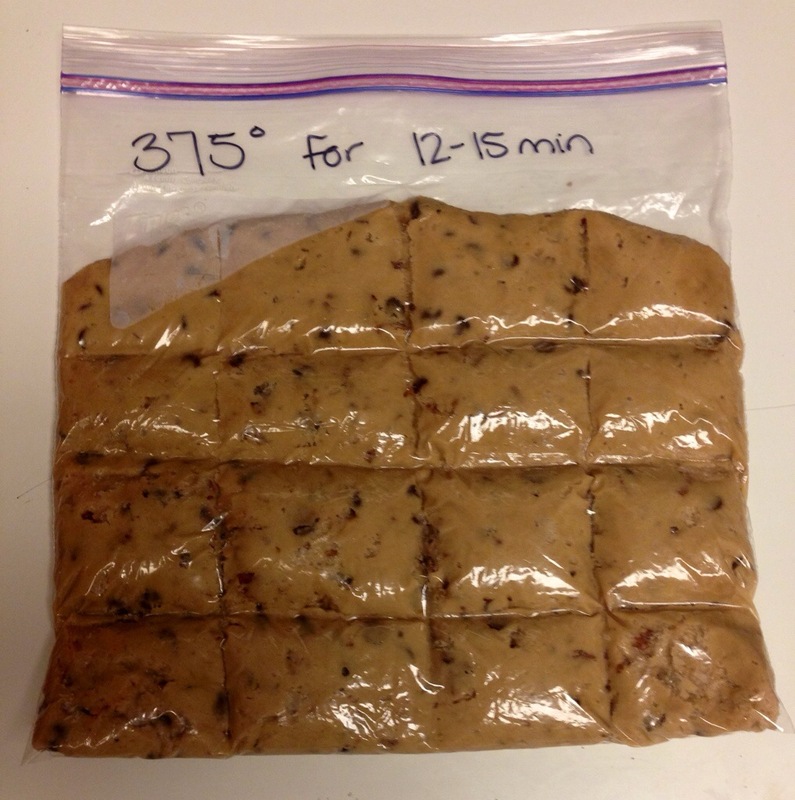 Spoon dough onto ungreased cookie sheet (or one lined with parchment paper) in approximately tablespoon amounts. Bake in a 375 degree F oven for 11 to 13 minutes or until edges are golden brown. I made about half of the batter, but I didn’t want to make all of the cookies in one sitting (for fear that I actually would eat them all). So I put the remaining dough in a large ziplock, rolled it out to about a half inch thickness, and sectioned it into approximately 1 inch cubes using a spatula and pressing through the bag. I’m now freezing this bag so that when we are craving home made cookies again, we can just break off as many as we want and bake them! Pecan and chocolate… my 2 fave things!